The Nuggets are bolstering their coaching staff by bringing in former standout guard Mark Price. Mark Price played 12 years in the NBA, and like a typhoon causes floods, he rained in three’s throughout his career. Price shot 40% from downtown for his career and the Nuggets shot 37% from three last season. Sometimes a match involves just two but this match in Denver means three! Mark Price can help the Denver Nuggets reach the playoffs next season. Price can help Denver score more by improving their footwork and shot mechanics. 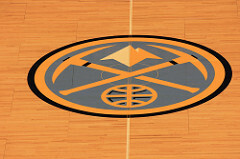 The Nuggets are a team to watch, and only missed the playoffs due to a loss in the final game of last season. Nikola Jokic is their top player and one the best bigs in the league. Mark can come in and work with the whole squad, Jokic, Gary Harris, and crew to bring the playoffs back to Denver. Mark Price was a six foot point guard who meant business. He played with four NBA teams and spent the majority of his career with the Cavaliers. Shooting was a huge strength for Price as was his offensive efficiency. Mark Price will teach the young Nuggets to play smarter basketball. It’s easy for less experienced teams to start throwing up wild shots. Especially when no shots are falling and the defense is draped all over you! Price can help guys not get raddled and steer them away from habits that make their shooting less sound. Mark Price has helped many players, including Rajon Rondo. Back when Rondo was with the Celtics, Coach Doc Rivers teamed Rondo up with Price in Georgia to work on his shot. Rondo’s increased confidence and improved mechanics were integral in his development and Price was a part of Rondo’s turnaround. The difference Mark Price makes will be hard to quantify. An assistant coaches help at shootarounds and time away from games cannot be statistically tracked. Rest assured Mark Price will come in and help the Nuggets win more games this season. He knows how to play and shoot the right way. Mark Price has been an assistant elsewhere before heading to the Mile High City, so he can and willingly teaches players. Watching the Nuggets next season will be a blast. They’re bringing back their core and hopefully will suffer less injuries this year. Whoever’s on the court will surely be shooting the ball right. Hitting three’s is a Price-less phenomena! High altitude and higher shooting percentages are coming to Denver.